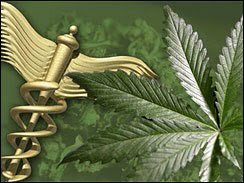 Marijuana consumption reduces the symptoms associated with Crohn’s disease, and can even lead to its remission, according to new research published on the website of the National Institutes of Health, which will be in print soon in the journal Clinical Gastroenterology and Hepatology. In the study, “complete remission” was achieved by five out of the eleven patients who received THC, compared to just one out of ten of those who received a placebo. Complete remission is defined as a reduction in patient CDAI score by more than 150 points – the CDIA is a research tool used to quantify the symptoms of Crohn’s disease. In addition, a clinical response (defined as a decrease in CDAI score of >100) was observed in 10/11 subjects in the cannabis group, compared to 4/10 in the placebo group. Sorry about your sister, R.
I have Crohns and I misspell it the time. Maybe its just because of the weed? No other problems to report. Some citations would be helpful. Your social media person misspelled Crohn’s in the Facebook lead for this article. This is important. My eldest sister was severely hampered in her enjoyment of life by Crohn’s Disease, and died from complications. I have at least one other sibling diagnosed wit the condition. Unfortunately, they are unlely to place great credence in a site with a definite agenda, such as this one.